What it must be to grow up in the shadow of the Wembley arch. 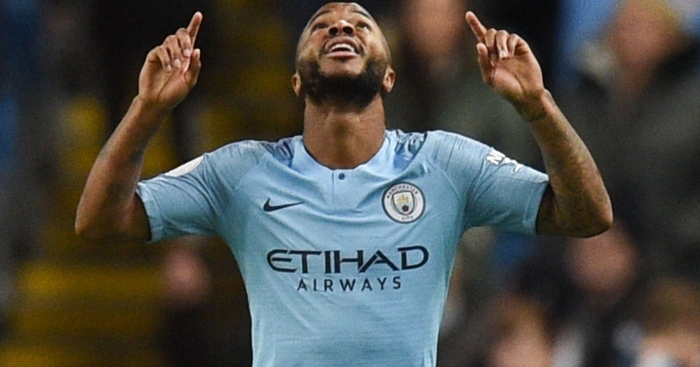 Raheem Sterling did just that and it showed in his hat-trick goal celebration on Friday night; that little leap and then the quick spasm of joy which rippled through his body. That’s what the realisation of a dream looks like. But this isn’t really about football. The sporting story is compelling and it comes with the sense of a personal circle completed, but it means more because it’s Sterling. His time with England has been a hard road and so to watch him reach the end of that journey, to emerge into the light and to the sound of cheers, is heartening. It’s him, it’s that crowd, and – after all the ugliness – there’s finally some harmony. That dynamic would exist under almost any circumstances. But these are not just any circumstances and Sterling is not just any player. Neither is England a normal place at the moment. It’s become a very binary country. The temptation, obviously, is to interpret that as a Brexit effect, and to place a simple division between Leave and Remain. That’s too precise and too recent: the country has been split for a long, long time, and into fragments rather than perfect halves. In hindsight, the referendum simply organised those groups into opposing factions, melting causes together into broader, unifying grievances. Sterling’s career has coincided with that. His career as a footballer has developed under England’s darkest skies, during a period when the country is thick with paranoia, and when its news cycle burns with half-truths, assumptions and unchallenged prejudice. Is it any wonder that he’s been treated so badly? The tone of the coverage surrounding Sterling has been addressed many times before, including on these pages. But perhaps the most damning detail was not the coverage itself, but the size of the galleries it played to. A young, black footballer was marched into the stocks on false charges, was pelted with rotten fruit for years, and the crowds whooped and cheered. We’re all individuals, each responsible for what we read, believe and think, but it’s hard to detach completely from the shame of that. The more subtle tragedy, though, is that all that negative energy has distracted from a great story – the real story. Sterling is good news. His life is a parable which speaks to the good this country can potentially do and what it can help people achieve. His progress and talent are all his, of course, and his accomplishments belong to him and his family, but he is still an inspirational figure of potentially radiant worth. He is the boy who escaped violence and hardship, who adapted to life in a new country and eventually became one of the brightest stars in its sky. Really, this is someone who should be the face of government healthy living programs, who should be on the front of cereal boxes, and whose face should greet people when they land at Heathrow. Welcome to England: look at what you can be. Maybe this is why he occupies the space that he does. 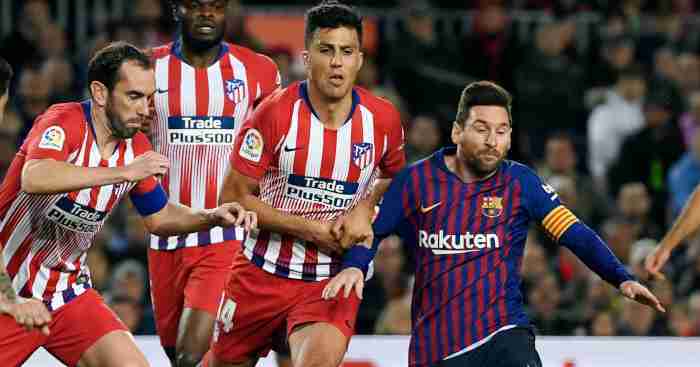 Increasingly, his success on the pitch seems to carry broader significance. He remains subject to the normal laws of tribalism, but there’s a developing recognition that his success – his goals, his medals – is really for the greater good. Sterling has certainly become a better and more efficient player over the last couple of years, but he’s also become a more public-facing personality too. 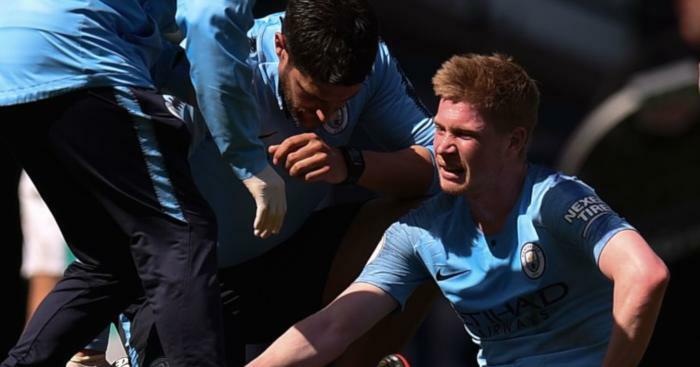 While there’s presumably strategy behind the decision to grant more interviews – including most recently to the New York Times’ Rory Smith – the effect has been to reveal just how misrepresented Sterling has often been. That was always presumed to be the case, but with each layer pulled back he distinguishes himself further from the fiction; this is no vapid cliche, but rather a religious and grounded young man with a keen social conscience. Footballers have faced adversity before; they’ve also been unfairly targeted by the media. Rarely has it occurred in this kind of atmosphere, though. The kind of phobias which instructed his false portrayal remain at the root of all sorts of other mischaracterisations. Sterling was just a high-profile victim of something which continues to afflict many other people in many other parts of the country. It’s hard to diagnose that properly or to really know where it comes from, but it seems that if you don’t fit into that nostalgic fantasy about what Britain once was – Songs Of Praise, but shot in 1950s sepia – then you’re subjected to a highly aggressive form of suspicion. Suspicion which, in Sterling’s case, manifested itself in one of the most poisonous campaigns the British sports press has ever seen. Today though, he’s on the path to becoming the nation’s darling. Social media can always be depended on for its cynicism, but perhaps that’s justified in this instance. Those who say that this reversal has been too dramatic might have a point: there has been a rush to embrace him and that might be indicative of an overcompensation. It’s as if, in recompense for how abysmally he’s been treated, there’s now a determination to show a greater depth of appreciation. It’s not necessarily a bad thing, but it still feels disproportionate. He’s an excellent player and a very successful one. He’s also begun to play extremely well for England. Nevertheless, this flowering of affection isn’t necessarily commensurate with his body of work. Raheem Sterling is a national treasure. Which is why it’s necessary to look beyond the game for an explanation, and to wander into antagonistic territories. But it does feel political, or at least like a social response of sorts. 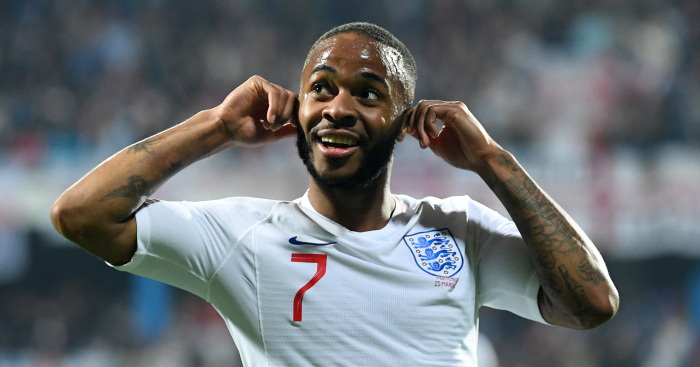 The pertinent issue is not what Raheem Sterling is, but what he’s not – what he doesn’t represent. He’s not May or Corbyn. He’s not a Brexit amendment, a Question Time episode, or another ‘why I’m right and why you’re wrong’ article from an over-promoted left or right-wing blogger. God, people are tired of that. Tired of the belligerent voices in papers, and sick of the dog-whistles, the populists and the erosion of decency. A lot of people don’t like Murdoch or Dacre, Rees-Mogg, Johnson, Williamson or Morgan. They hate the dilettante fascists and they’re not that fond of the common room socialists either. But they do seem to like Raheem Sterling. They don’t know him that well yet, but they like what they’ve seen, heard and read so far. He’s successful and humble, he gives his time to kids and he loves his mother. In good times, that would make him more than a worthy role model. In these bad times, it gives him this nebulous cultural role. 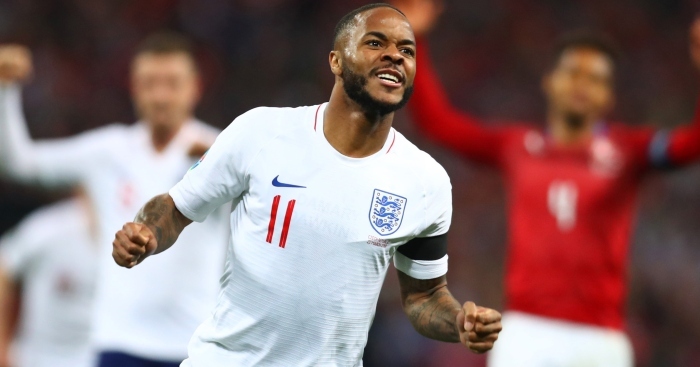 England are playing attractive and successful football under Gareth Southgate and that certainly provides a useful frame, but Sterling himself is representative of something good. 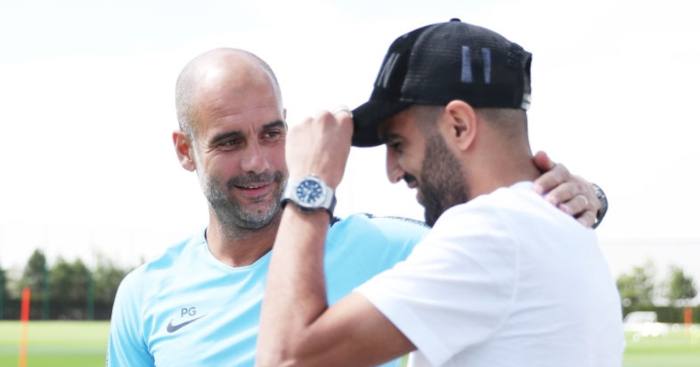 Maybe aspects of this are confected, but the haste with which he’s being cherished bears the hallmarks of a movement of sorts: don’t vote for those others, vote for Raheem – not on a ballot paper, but in the stands and on the streets. It’s a protest, really, because to love him is to loathe his assassins. It’s a tenuous conclusion – and it’s also a logic which betrays just how fragile the country’s self-esteem currently is – but it feels right. At the very least, it feels significantly different from so much which is really, really wrong.